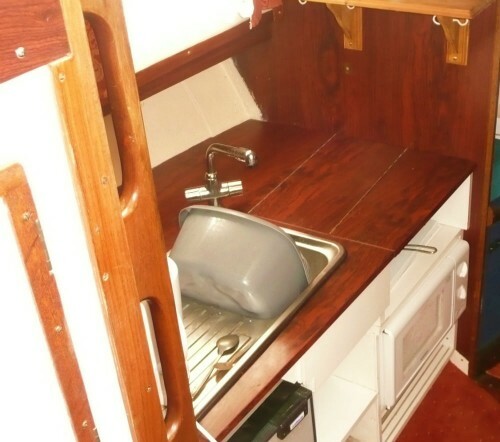 VHF radio , battery charger, gas hob and grill , fridge, microwave. portable loo. 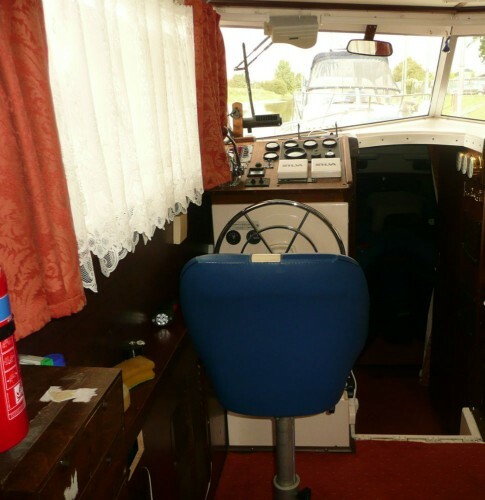 An ideal size for beginners this cruiser is powered by a Volvo Penta inboard diesel engine and is suitable for both sea and river cruising. 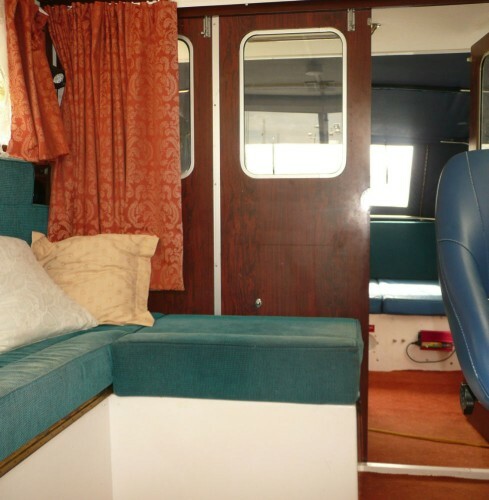 The well laid out interior has two full length berths in the fore cabin and a sofa in the wheelhouse/dining salon that converts into a double bed. 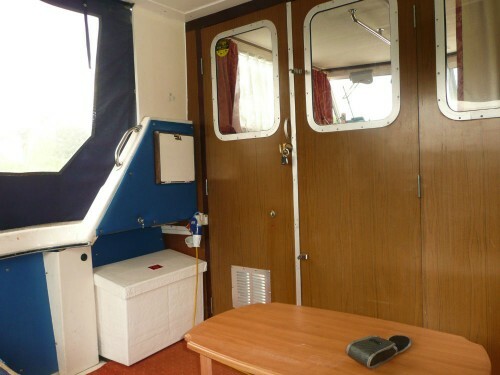 Foldaway doors lead onto the aft deck which has a deep cushioned bench seat (possible 5th bed). 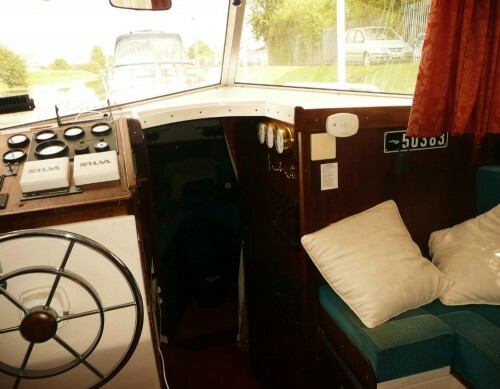 With the pram cover removed this rear deck is ideal for fishing or sunbathing, Amidships is the galley with stainless steel sink , kitchen appliances and ample storage. there is also a toilet room with a hand basin. A new immersion heater has recently been installed along with fire and gas emission alarms. 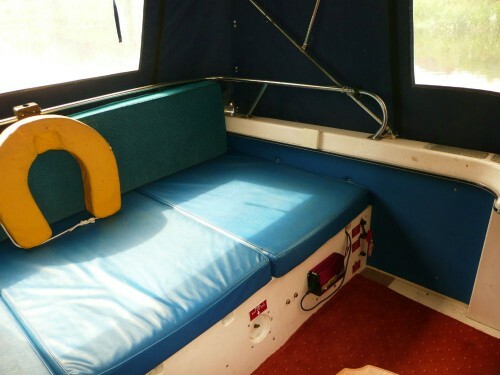 A full survey dated April 2011 is available and the Boat Safety Certificate is valid until July 2016. 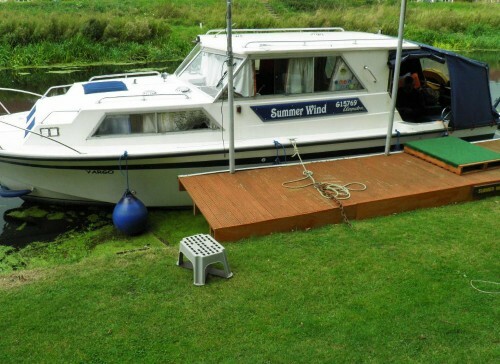 Licenced until Sept 2013 the boat is currently moored at West Stockwith Basin off the River Trent in Lincolnshire. For more information or to view call Alan on 07982842866.